FT8 has taken the HF bands by storm, a bit like PSK did in the early 2000s. These days it seems the mode of choice for DX stations, allowing them to make a number of QSO is a short duration. 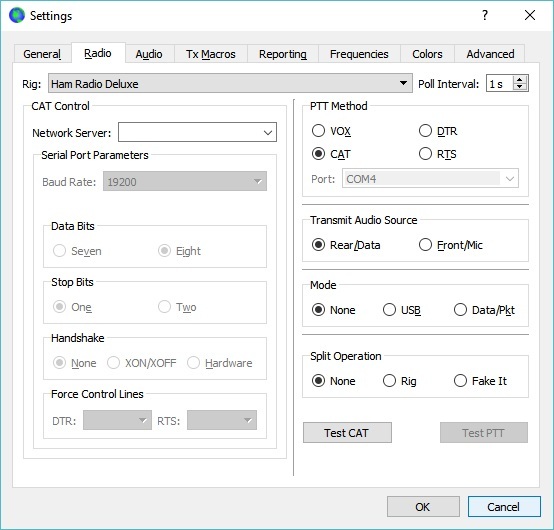 If you haven’t checked out FT8 then I would suggest you head over to Joe Taylor website and have a look at some of the weak signal propagation modes available. If you are new to FT8 you may find this operating guide helpful. 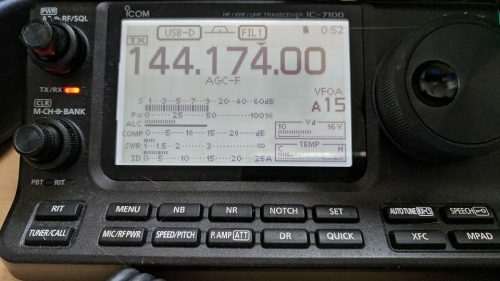 Connecting my Icom 7100 to Ham Radio Deluxe, and then WSJT-X to “Ham Radio Delux” works just fine for me. It should be possible to connect WSJT directly to the Icom radio, but a lot will depend on your operating preferences. Its quite common to see Germany, France, Belgium, Ireland, Wales and Scotland in a few hrs of monitoring under flat conditions. 50 MHz is also popular and works well under short sporadic E opening. Yes I have a small 3e for 144 MHz horizontal polarised. Je travaille ici IN94TS en vertical avec une bibande (et donc une reception omnidirectionnelle) et un lna . les résultats sont vraiment excellents . ce matin, hors sporadiue E , SV5,EA,IZ8,EA9,SV1,EK7 ete ctec et un français en qso avec un 4X1 ! ! ! ! I work here IN94TS in vertical with a double band (and thus an omnidirectional reception) and a lna. the results are really excellent. this morning, excluding E sporadic, SV5, EA, IZ8, EA9, SV1, EK7 and ctec et a French qso with a 4X1! ! ! ! Hi Dave I wish to try the UHF/VHF FT8 where am I able to download the software? Can I use a co-linear? That link is outdated, use https://physics.princeton.edu/pulsar/k1jt/wsjtx.html to find the current version of the software. I find 2m FT8 with just a big-wheel omni antenna amazing. Most times I get spotted by a couple of Cornish stations when I run 2.5W QRP. The range is about 460km. On RX I seem to spot amazing distances. Foe aircraft reflections, the polarization seems to make little difference. I use horizontal as this works best with tropo.